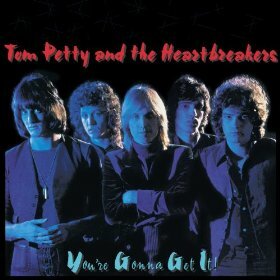 Apparently because his music exudes anger and frustration, Petty has been labeled “new wave” by many critics. In fact, though, “old wave” would be a better term for his work, which employs hard-driving, guitar-based rock and draws its inspiration from mid-60s outfits like the Byrds and the Searchers. Petty’s earlier “American Girl,” one of 1977’s best songs, sounds so Byrds-like that Roger McGuinn’s cover was almost inevitable; this LP’s “Listen to Her Heart,” which follows the Byrds even more closely, would probably sound downright redundant in a McGuinn cover. But Petty should not be dismissed as a mere copycat. “Listen to Her Heart” pays homage to the Byrds as gracefully as Lynyrd Skynyrd’s “Free Bird” salutes the Allmans, and while the rest of the album cites numerous other easily identifiable progenitors, it also sounds uniformly fresh and vital.